More than 1 million people were under mandatory evacuation orders as Hurricane Florence crawled toward the East Coast. By Thursday afternoon Sept. 13, Florence’s wind speeds had dropped, and the storm was classified as a Category 2. 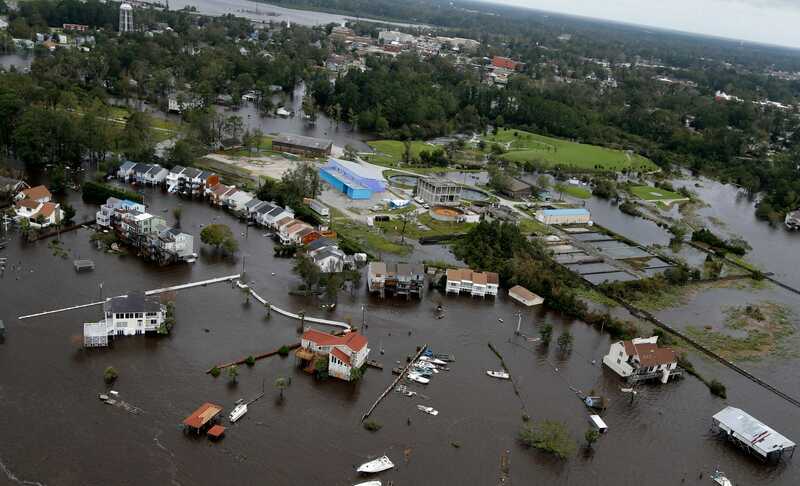 Florence slowly ravaged the region, flooding cities, endangering communities from the coastline to the rugged mountains.The perils stretched across North Carolina and South Carolina. 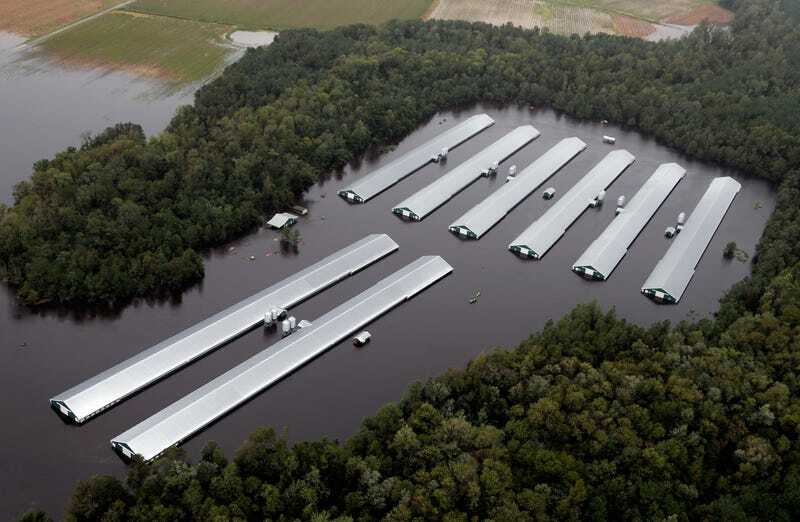 A pig farm is flooded near Trenton North Carolina. 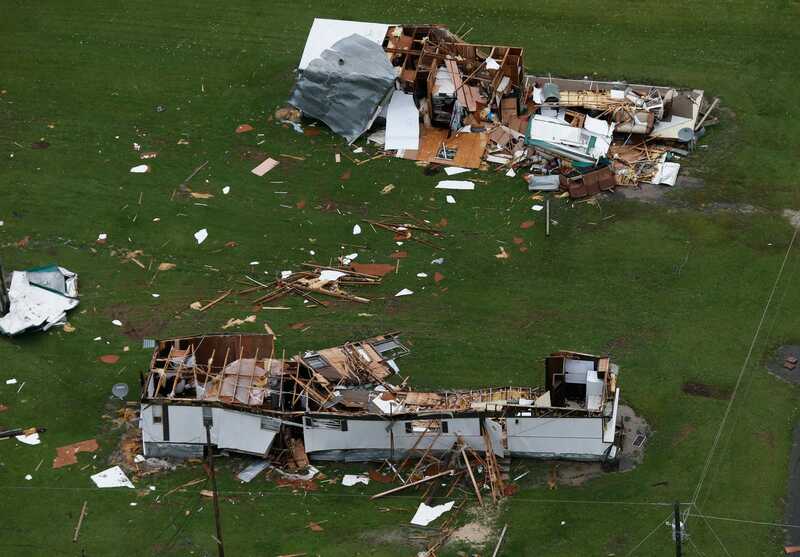 Damaged mobile home from the winds of Hurricane Florence in the Jacksonville North Carolina area.